Olive Garden is a family of more than 800 local restaurants guided by a simple truth – life is better when we’re together. And what better way for Olive Garden to celebrate togetherness than sharing Italian generosity with you, your family, and your friends who feel like family? 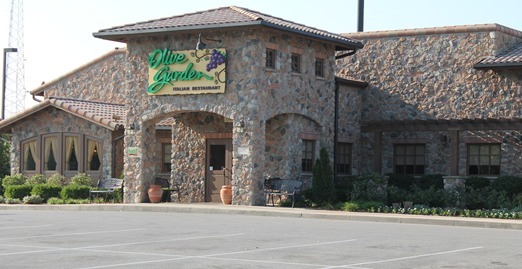 From heartwarming Italian classics, to Lighter Italian Fare, to their unlimited soup, salad and breadsticks, Olive Garden serves their guests delicious food that feeds everyone’s appetite. Olive Garden invites you to pull up a chair and let the sharing, the passing, and the laughter begin. Because they believe that things like joy, laughter, and love, have no limits. Click HERE to view Olive Garden’s menu. Be the first to comment on "Olive Garden"